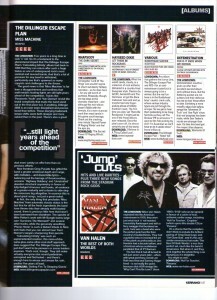 Here is an old review of Buddyhead’s ‘Suicide’ compilation from Kerrang (issue 1016). I used to own this compilation, as it featured The Icarus Line and a whole host of bands from the Buddyhead stable. 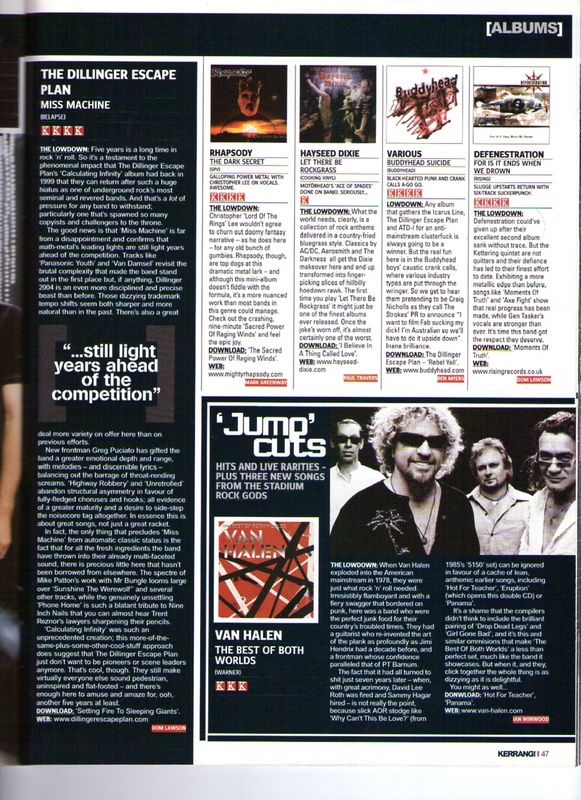 Printed on July 31 2004, the issue also had a 4K review of Dillinger Escape Plan’s ‘Miss Machine’ album on the same page, and I am including it here as The Icarus Line once toured with the aforementioned band.